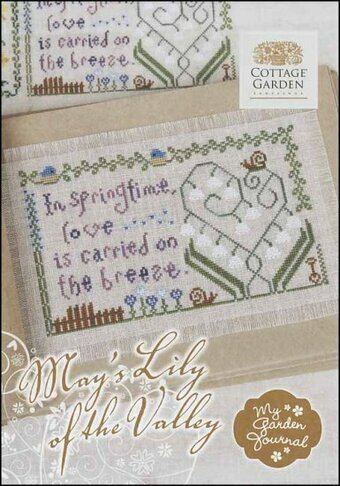 Model stitched on 32 Ct. white or off white Belfast linen with DMC floss, Caron Waterlilies, Caron Wildflowers, Thread Gatherer Silk N Colors, Anchor Marlitt (846-need 2), Rainbow Gallery Petite Treasure Braid (PB02-need 2), and Delica Beads (0501, 0124, 0670, 0832, 0829). 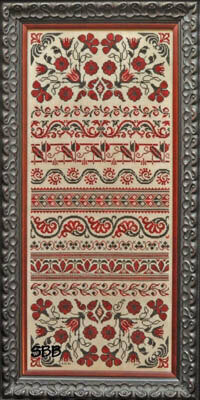 Stitch Count: 260W x 260H. 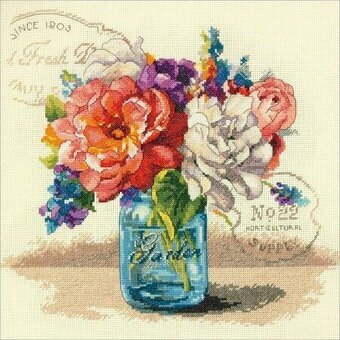 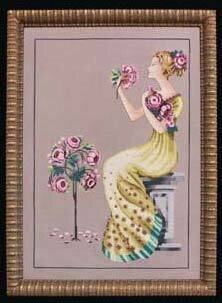 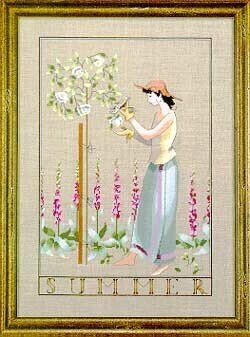 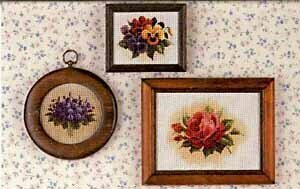 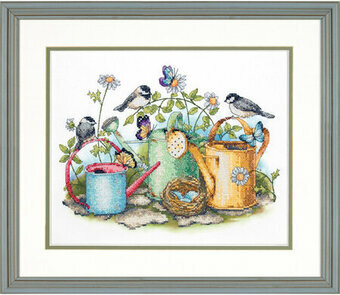 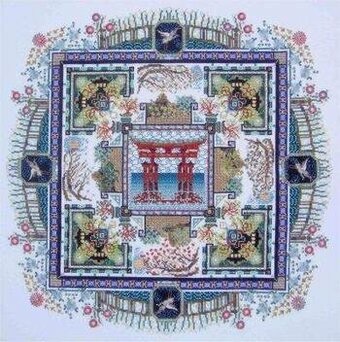 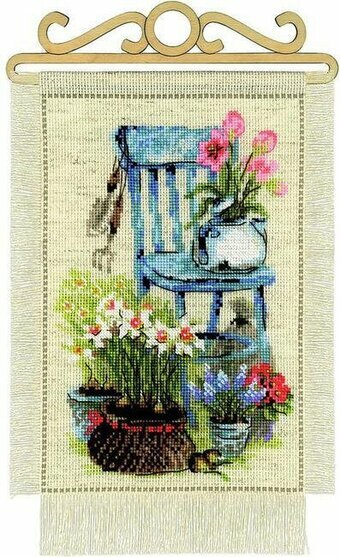 Cross stitch kit featuring beautiful flowers in a vase. 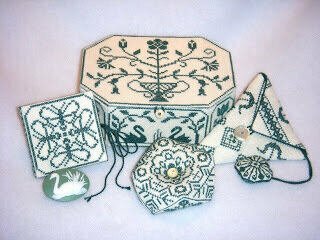 This package contains 14-count ivory Aida, presorted thread, one needle and easy to follow instructions. 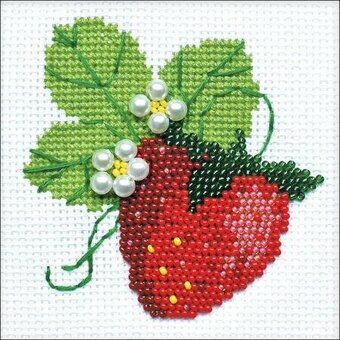 Finished size: 12x12 inches. 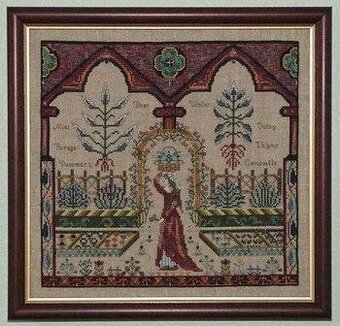 Model stitched on 32 Ct. natural/flax linen with Needlepoint Inc Silks (822,897(2),945), Caron Waterlilies, Thread Gatherer Silk N Colors (188,261), Gloriana Silk, Dinky Dye Silks, Rainbow Gallery Petite Treasure Braid, Delica Beads, and Swarovski beads. 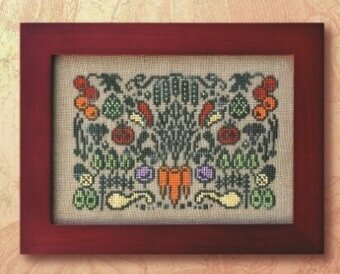 Stitch Count: 333 x 333. 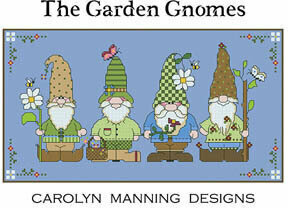 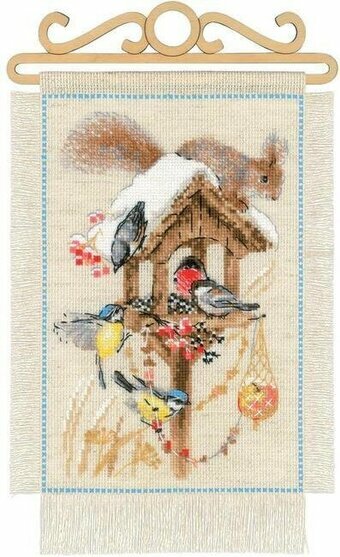 Winter themed cross stitch kit featuring birds, a bird house, and a squirrel. 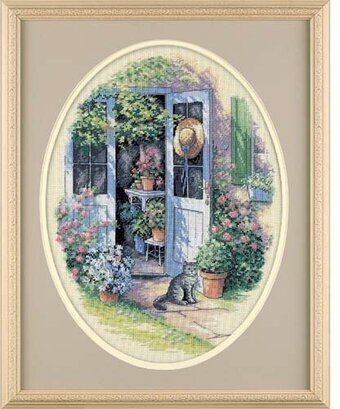 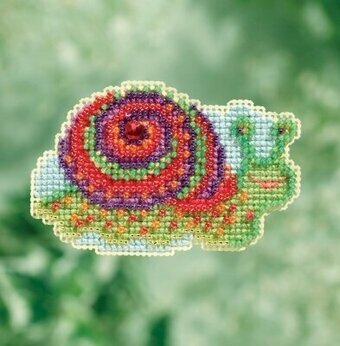 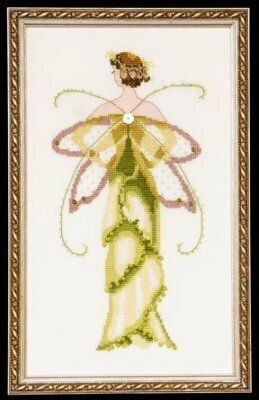 This cross stitch kit contains 14 count flaxen Aida Zweigart fabric, Safil wool/acrylic and Anchor stranded cotton threads (19 colors), needle, instructions, color chart and wooden hanger. 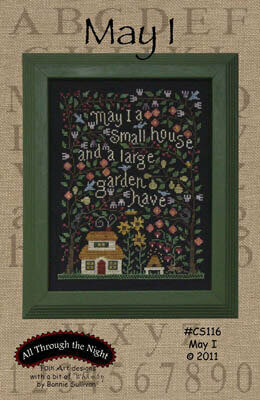 Size of finished piece is 7.9" x 11.8". 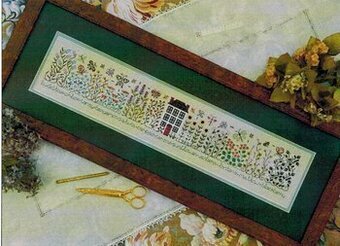 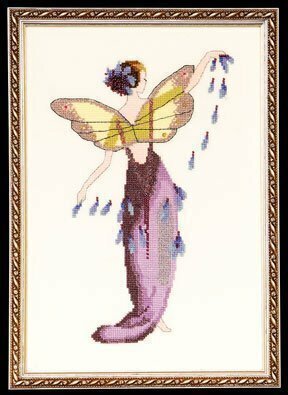 Complete kit includes 27 Ct. evenweave fabric, chart, sorted threads, needles, and instructions. 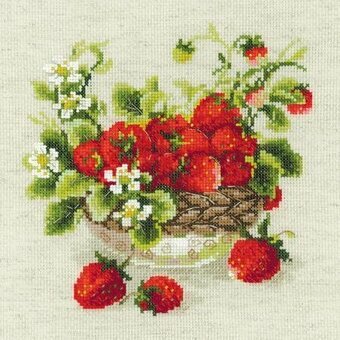 Finished size: 21" x 25". 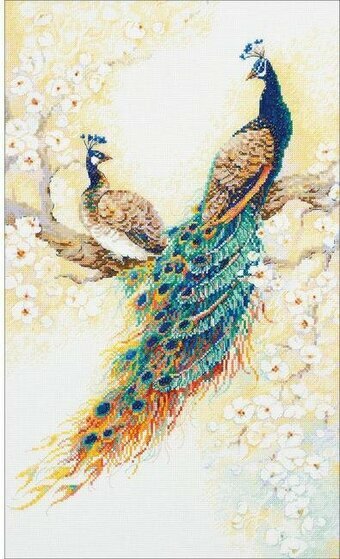 effect. 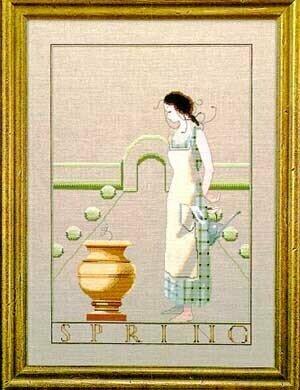 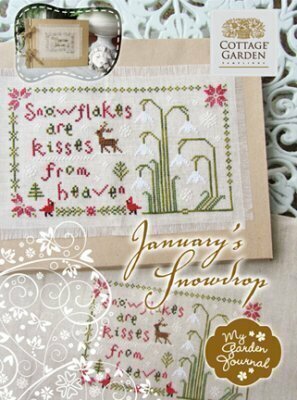 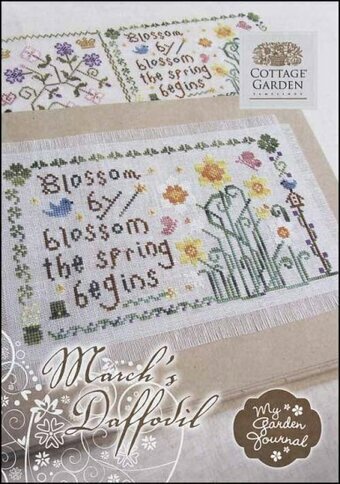 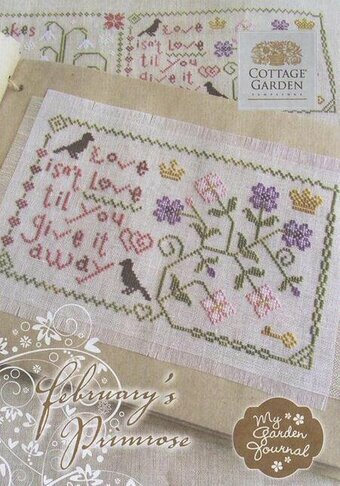 Complete kit includes pattern, 26 Ct. cream linen, floss, needle and instructions. 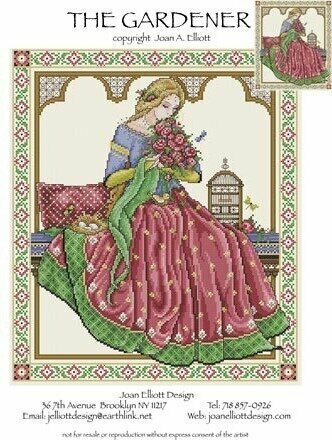 Finished size: 22.4" x 18.8". 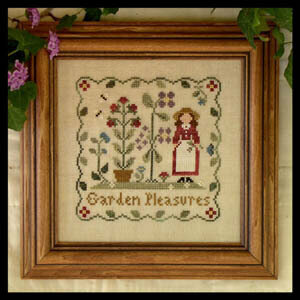 Models stitched on 25 Ct. Natural linen (3 1/4"x27 3/4") Models stitched on 28 Ct. 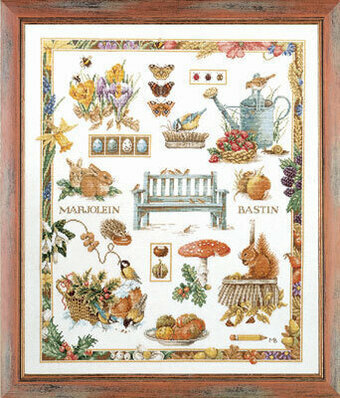 Cream or Mushroom Lugana or 14 Ct. Sesame Aida (3'x 25 1/2") Stitch count on this is 54x356. 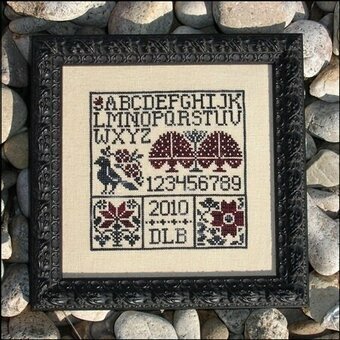 All stitched using DMC floss. 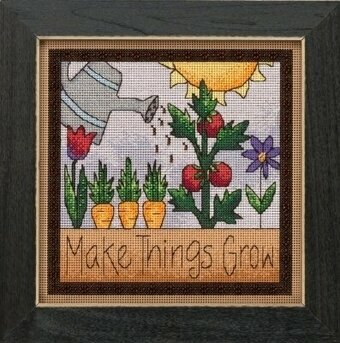 Model stitched over two threads on 32 Ct. Tycho from Picture this Plus using Gentle Art Sampler threads and DMC floss. 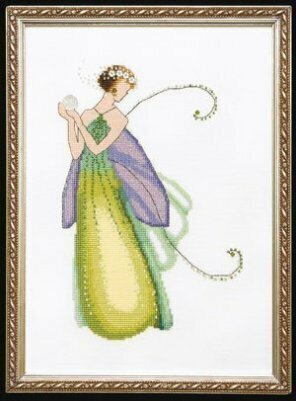 Model stitched on 32 Ct. Belfast linen of your choice with DMC floss, Caron Wildflowers & Waterlilies, Gloriana Silk & Luminescence, Dinky Dyes Silk & Perle, Rainbow Gallery Petite Treasure Braid & Petite Silk Lame, Delica beads and Swarovski crystals. 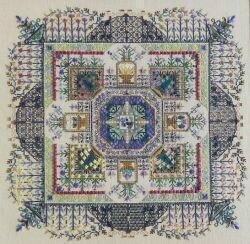 Stitch Count: 325x325. 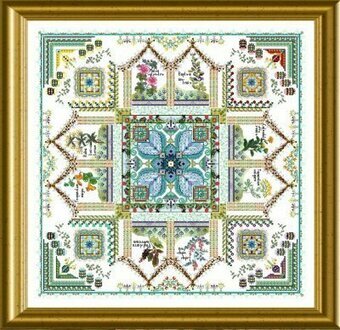 Model stitched on white or off-white 32 Ct. Belfast linen with Needlepoint Silk, Thread Gatherer Silk N Colors (210), Thread Gatherer Silk Perle (10), Gloriana Stranded Silk, Gloriana Luminescence (135), Rainbow Gallery Petite Treasure Braid, Delica Beads, and Swarovski Bicones. 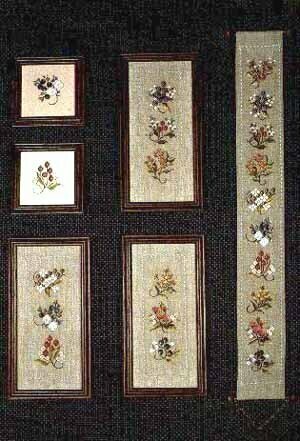 Stitch Count: 177W x 168H. 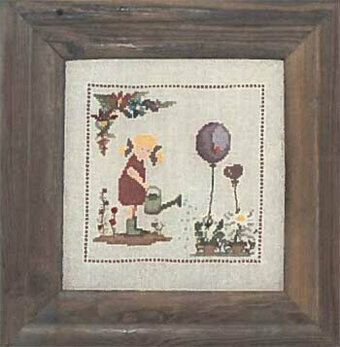 Also required, but not listed above, NPI #876. 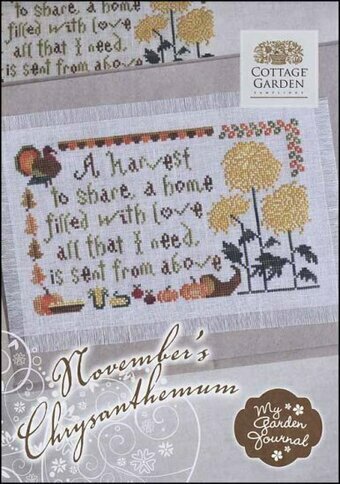 The complete kit includes 30 Ct. Ivory linen fabric, separated floss, needle, and instructions. 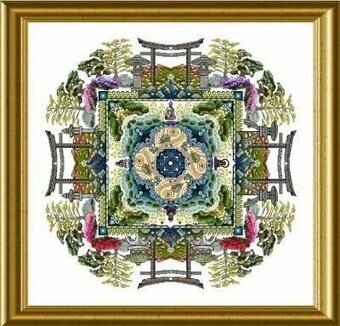 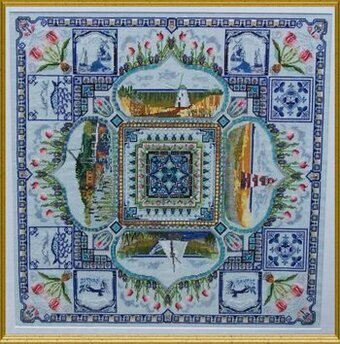 Finished size: 6 1/2" x 5"